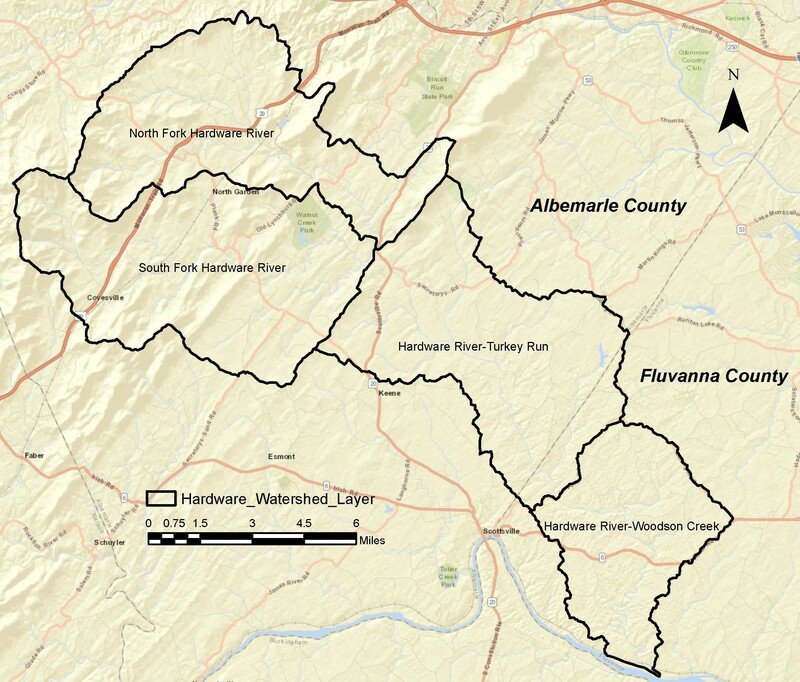 The TJSWCD has funds to assist property owners with the repair and replacement of failing septic systems, connection to public sewer, and routine septic pump outs. Property owners are eligible for 50% reimbursement towards the cost of expenses regardless of income. Some property owners, depending on income, may be eligible for up to 80% cost-share reimbursement. Participants MUST apply to the program before having any work done in order to qualify. 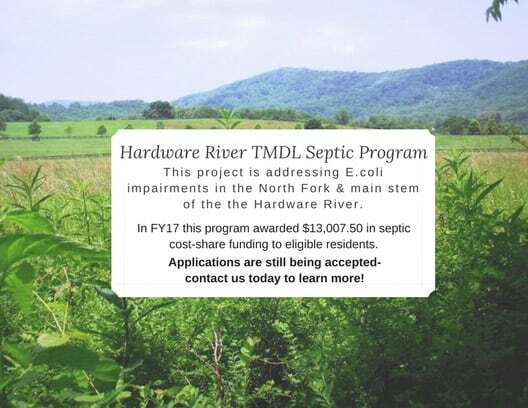 The funding for this program is targeted to streams included in areas funded to improve “Impaired Waterways.” Currently, priority funding is available in the Hardware River Watershed and the Tye River Watershed. 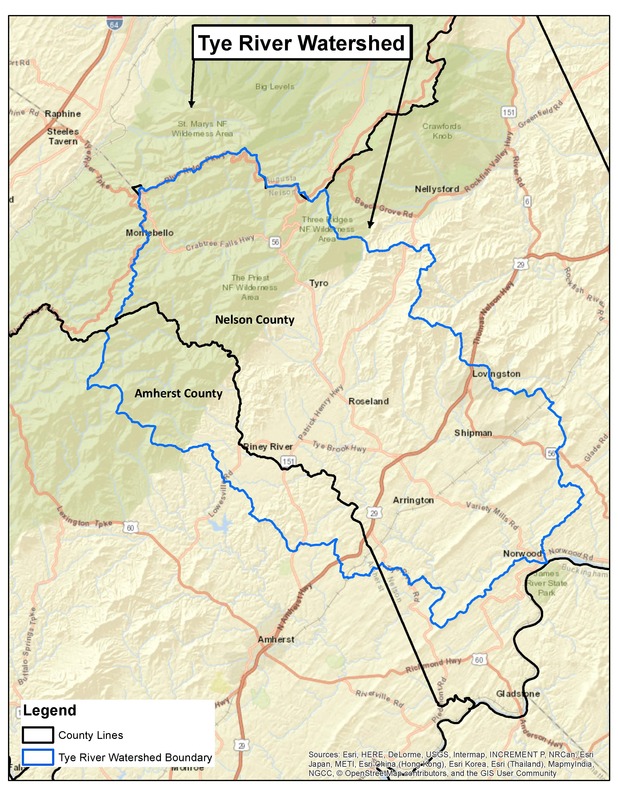 Click here to find out what watershed you live in or contact Chris Gyurisin at 434-975-0224 Ext 103 to learn if you are eligible. 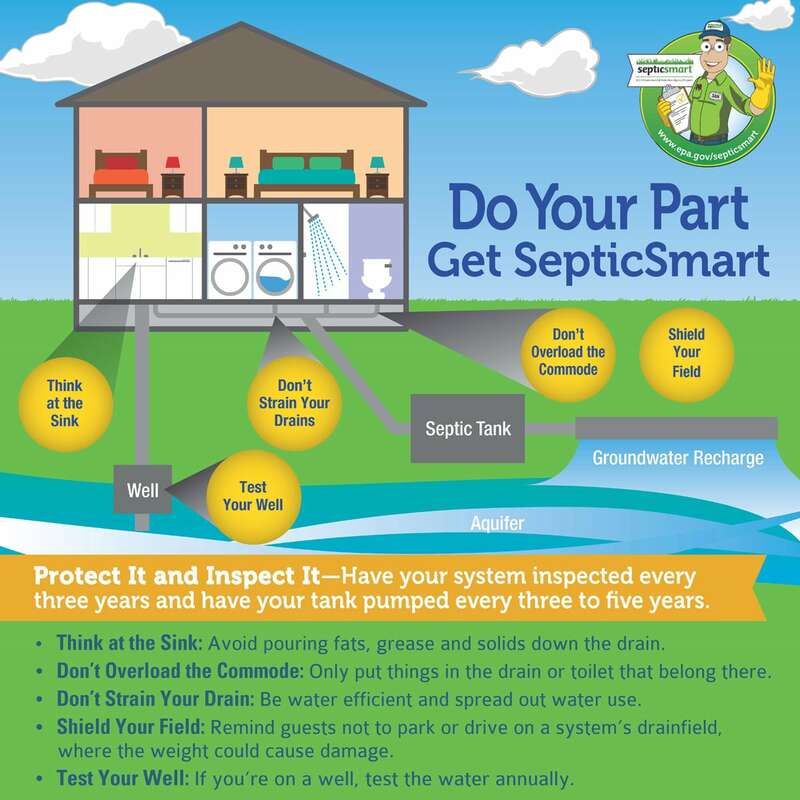 All repairs or installations of septic systems must be coordinated with permitting from the local Virginia Department of Health.